Getting your people to laugh and have a good time would always seem like a good idea. THEY have earned a reputation for creating humor on the spot and getting audiences to bond with one another over the shared experience wherever they may be in Central Florida. 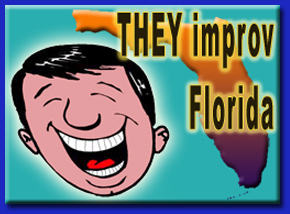 Our Orlando improv comedy shows use the best improvisational comedians to wow your gatherings with corporate offsite events and private parties that will not soon be forgotten. Using input from our audience, we create comedy on the spot that couldn't be repeated even if we tried. The intimacy of such a performance creates a unique bond between the performers and the audience as the lightning in a bottle entrances them. 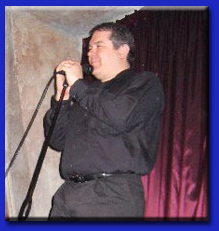 Orlando improv comedy shows provide an alternative to stand-up comedy as well as other theatrical venues. With an impressive cast of actors in the area, improvisational comedy always delivers a variety of entertainment for a relatively small amount of money. Actors take suggestions from the audience and perform comedic and theatrical pieces. The audience participates by initiating the action with their suggestions. This direct interaction has long made improvisation a favorite among theater-goers, patrons of the arts as well as the college students. By providing the all-stars of company-friendly entertainment, our Orlando improv comedy shows make corporate offsite events, banquets and private parties truly unique. Perfect for employee appreciation, meetings and incentives awards and team building workshops, an Orlando improv comedy show dynamically creates bonds between employees. Meetings and Incentives Awards. Often such gatherings result in lengthy periods of speeches that are appreciated, but not well received. They tend to drag on a bit and those not directly receiving recognition sometimes zone out due to boredom. Our Orlando improv comedy shows can be spread out over an evening and can help your banquet attendees to maintain their interest. Comedy Training. We can provide a one or two hour workshop prior to a dinner, teaching members of your corporate event or private party how to perform certain comedic pieces. Then, during the after dinner comedic show, we allow some of the attendees to participate. We allow them to perform side-by-side with our professional comedians and work hard to make certain that they are made to look good and to be the stars of the Orlando improv comedy show. 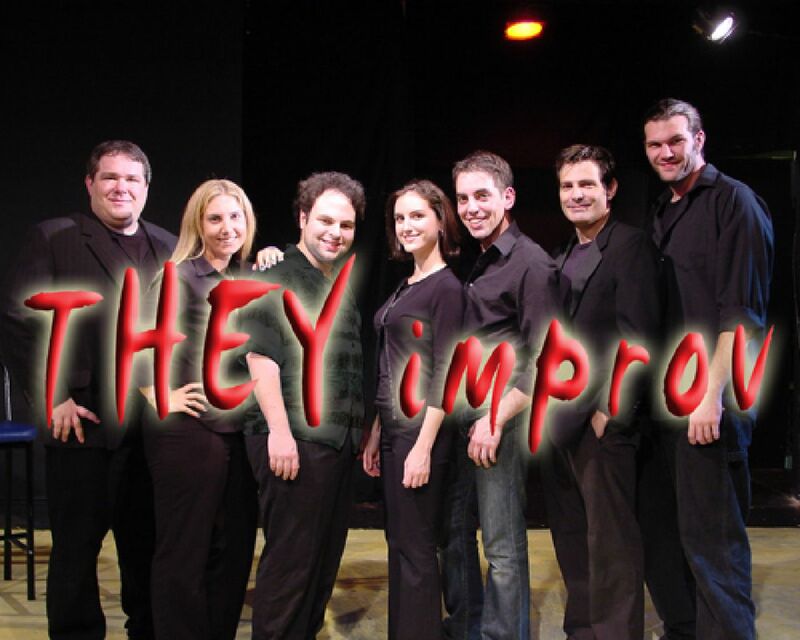 Please contact us for information about booking THEY improv by email at info@THEYimprov.com or call (407) 413-9830.